Here are 50 important MCQ Questions for webpage designing and HTML chapter. Correct answers to each question are given at the bottom of the post. You are welcome to download the pdf file for this webpage designing and HTML MCQs. A skill of HTML is equally required for entry-level as well as for senior web developer positions. With HTML we can create static web pages. however, the concept of HTML is important for creating dynamic pages too. 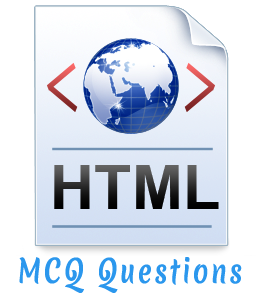 Here we present a selected list of important MCQ questions on Webpage Designing and HTML with answers. These HTML multiple choice questions are for both freshers and experienced candidates. 16. What does vlink attribute mean?